Tube filament / heater soft start - protect your beloved tubes!!! NOS vacuum tubes are getting expensive these days, especially the ones like Western Electric, Telefunken, Amperex Holland and such. A brief check shows that a single NOS Western Electric 252A is $7,995.00 a piece! 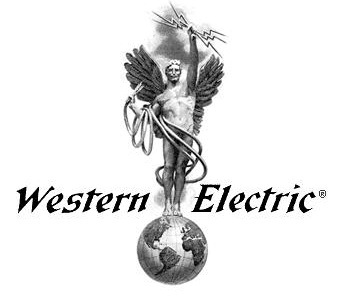 A single NOS Western Electric 300B is $1,995.00! What are the ways to prolong the vacuum tube life span? There are many ways, like delayed B+ supply after filament supply, soft start on B+ voltage, properly designed operating point, following manufacturer’s recommendations, voltage regulation, constant current supply and etc, but let’s concentrate on one on this page – filament soft start. The tube filament is just like a piece of wire with resistance, like the light bulb. When power is supplied to the filament, it heats up and sometimes lights up the tube for those using thoriated tungsten material. Some of us might not be aware that when the tube filament is cold, the resistance of the filament is lower. So when power is initially supplied to the cold filament, resistance is low and a surge of current will pass through the filament, exceeding the maximum allowable ratings, therefore weaken and shorten the filament life span. At the end, the filament breaks and we have to say goodbye to our beloved tube. 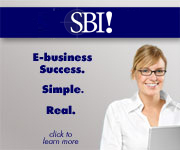 See the above picture for an example. A short turn on spike is all that it needs to weaken the filament. You will be surprised that a major percentage of premature tube failures are caused by this. Studies have shown that the tubes actually last longer (20-50%) if the turn-on surge is overcome. Use a variac to bring up the filament voltage slowly. Use a switch with series resistors to attenuate the filament voltage to 50% - 70% before 100% voltage is applied. Use a voltage regulated supply with soft start – this is what we’re heading in this article. Use a constant current source. Caution: if you do go for LONG filament soft start, make sure the B+ supply is slower than the filament! You will damage the tube is B+ supply is applied while the tube filament is still in the warm up stage. There shall be a slight penalty for prolonging the tube life span but I think that is forgivable as the sonic advantage it brings by letting you have a better, more expensive tube is many times the penalty it brings forward. I choose the LM317 / LM337 in this case. It is inexpensive. It is commonly available. It is durable. It is easy to use. Regulation is good. Stability is good. Current capability is good and sufficient – up to 2.2A with Vin-Vout <15V, which is the common case for vacuum tubes. If one needs a higher current capability, they can go for the LM350 voltage regulator chip where the current limit is 4.5A! Remember to heat-sink it generously if you’re passing through a lot of current. Above picture is the typical connection for the LM117 / LM317 voltage regulator with protection mechanism using the D1 and D2 diodes. For standard operations, please refer to the regulator datasheet. The regulated output voltage is dependent on the R1 and R2 resistor. One can input the equation in an Excel spreadsheet to simply the voltage calculation. That’s what I did. The heavier the loading, the larger the C1 has to be to reduce the ripple to a satisfactory level. One can add another capacitor at Vin to ground too to help on ripple rejection. For most of the applications, a single stage regulator will be sufficient. What’s shown above is the voltage regulator with soft start implemented. The filament soft start circuit consists of 2N2905, R3 and C1. You can replace the 2N2905 with 2N2907 or BC327 or any equivalent PNP transistor. 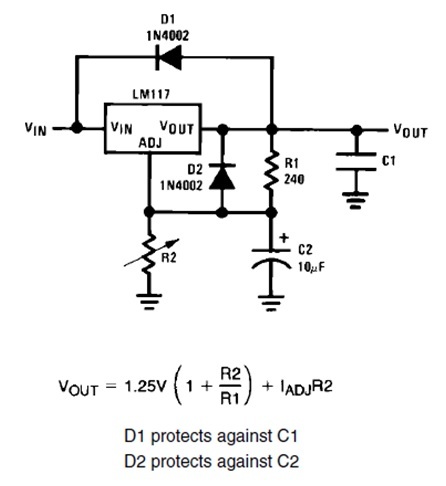 For negative regulator like the LM337, you can use the BC337 NPN transistor. After switching on the supply, the C1 (+) voltage slowly rises since the Vout is charging it. 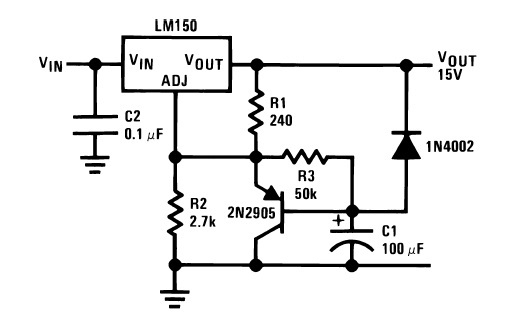 This slowly turns the initially conducting transistor (2N2905) off, thus raising the voltage of the LM317 ADJ pin with respect to ground until the quiescent / desired voltage is reached. This is the negative supply version using LM137 / LM337. A NPN resistor is used for the filament soft start function. Fixed bias on direct heated tubes – ground 1 end of the regulator. Self bias direct heated tubes – do not ground the regulator, leave it floating. Fixed or self bias indirect heated tubes – leave it floating, elevate the potential of regulator to the permitted voltage level (say ~80Vdc higher than the cathode potential) to reduce noise and hum using two 100 Ohm resistor, 1 resistor connects to the positive or negative terminal and another to the virtual ground connection, and then connect the open ends to an elevated DC potential, made by a voltage divider from the B+ supply. Connect a high quality film and foil caps at the tube socket pins to have better sonic. This wraps up the filament soft start page. Wish your exotic vacuum tube amplifiers will benefit from this tweak! I’ve employed this simple yet effective tweak all over my DIY tube amplifiers.